Lawmaker Rep. Lee Seok-ki allegedly called on his colleagues to prepare to conduct a “speedy war” against the South Korean government should Pyongyang issue an order to attack, according to a transcript of his address during their secret meeting in May. Lee, of the minor opposition Unified Progressive Party, is accused of forming an underground pro-North Korean organization and plotting and instigating an armed revolt. The group, known only as the “revolutionary organization,” is thought to have been formed within the East Gyeonggi Coalition and amount to around 130 members. The East Gyeonggi Coalition is a left-leaning political group that backs Lee. According to the request for Lee’s arrest submitted to the National Assembly on Monday, Lee claimed at a meeting of the group in May that North Korea had effectively declared war and that they should prepare an offensive. “As of March 5, the North Korean People’s Army command declared the armistice agreement invalid. Scrapping the armistice agreement means war. Let’s prepare for war throughout the country,” Lee is quoted as saying. Lee is also alleged to have called on his “comrades” to collaborate to show “limitless creative thinking” in their attacks. 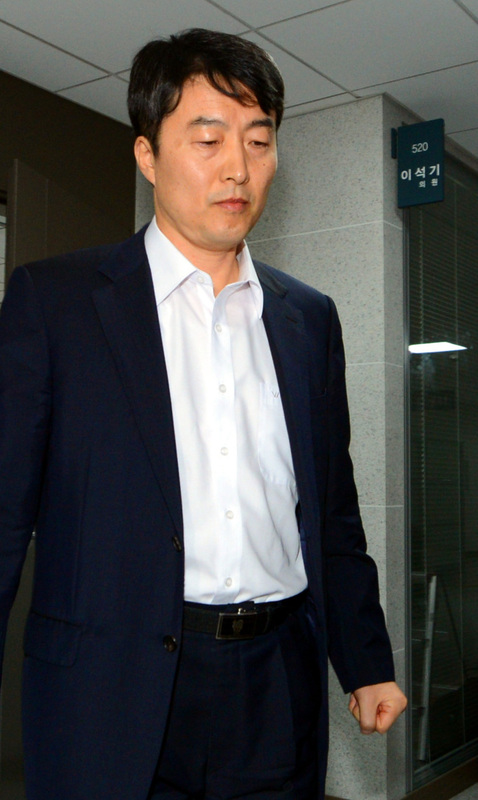 As more details about allegations against Lee surface, the ruling Saenuri Party and the main opposition Democratic Party are gearing up to approve the request for his arrest. Despite ongoing disputes, the two main parties put the request on the agenda immediately after the regular session of the National Assembly kicked off on Monday. Saenuri Party and DP lawmakers account for 280 of the 300-member parliament. At Monday’s party conference, Saenuri Party floor leader Rep. Choi Kyung-hwan said that the request should be processed on Tuesday if possible, and asked the ruling party legislators to remain on standby. The main opposition’s leadership has implied its intention to pass the motion. “The DP must resist any forces that deny the values democracy and South Korea, whoever that opponent may be. Korea will be able to move forward to a proper future only when ties with such people are severed,” DP chairman Rep. Kim Han-gil said. In addition, the majority of DP lawmakers are said to be in agreement with the plans to process the arrest request quickly. Powerless to stop the two main parties through parliamentary protocol, UPP chairwoman Lee Jung-hee launched a hunger strike saying that rejecting the arrest request was the right thing to do. “Stop this medieval witch hunt. Approving the arrest is the same as the summary executions carried out during the Korean War,” Lee said. She went on to say that those who believe in democracy must put a stop to related developments regardless of their opinions on Lee Seok-ki.